Today I am working on a miniature figure. It is a commissioned work from a customer from UK. She requested miniature figures of her three children. 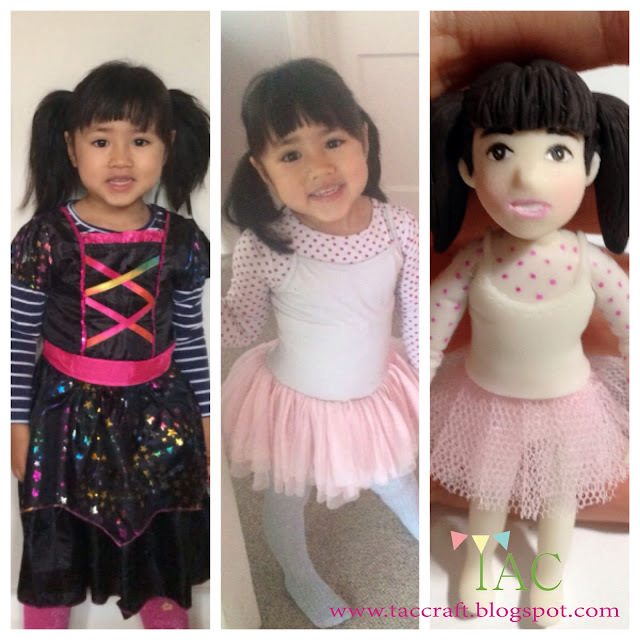 I have just finished one, the sweet little girl in tutu ballerina costume, Selina. She is such a cutie pie and she loves pink. This is her favourite outfit and her mom make sure I make Selina wearing this costume. As always, my medium is Japanese resin clay. The eyes, mouth and polka dots on her outfit were painted using Acrylic paint. 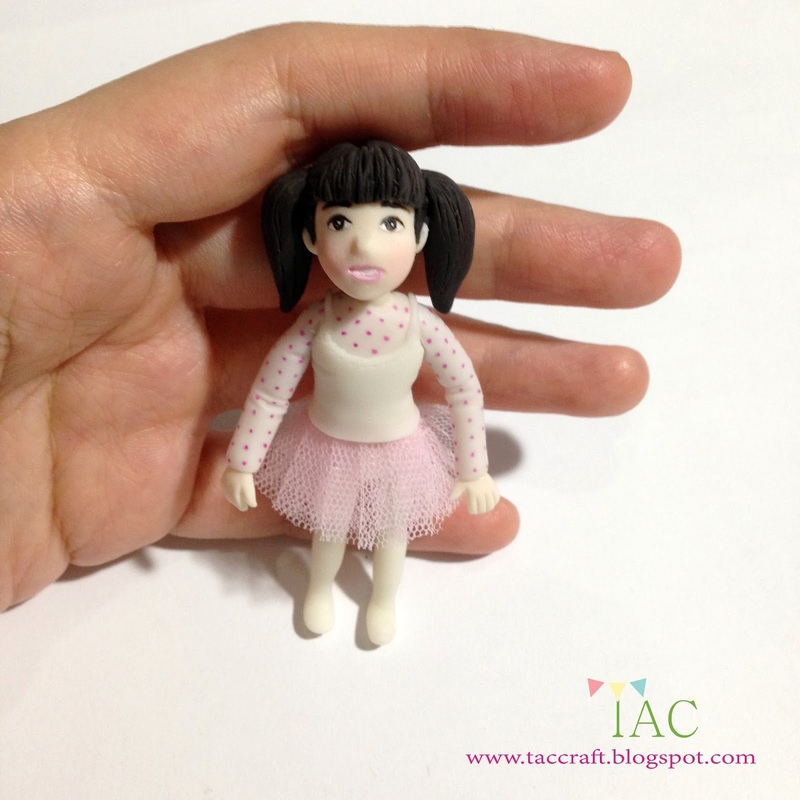 The tutu skirt isn't from clay, it is the actual tutu material.